Hi R0man0. I’m having troubles with the XML generator for some reason what ever I do the folder where the XML are saved is always empty after I hit go (of course wait 15-20 minutes for it to finish). I’ve tried over 10 iMessage and I get the same results. 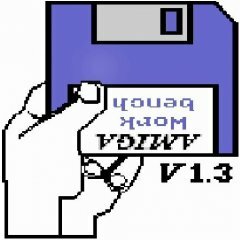 I’m using Windows 10 pro with mame 0.202 from mamedev.org. Edit : on your screenshot you don't have checked Mame XML folder maybe that could be necessary for list génération. Hello first thx 4 database and you hard work, plis tell me where unzip this folder mame 1.81 in database only im fresh, green 4 this HS thx ?? If I go in the wheel in the super nintendo, and after leaving the HS my mouse when you try to entry into any folder behaves strangely, it means I click a folder left the show to me the properties of the folder etc and only restart Pc helps happens only at the entrance to Super Nintendo in HS? Question Whether the HS can turn on the meter,counter etc game to make sure that the HS See all my roms ?? Ok , to be properly scan by HS & RL , your databases folder may have only the xml file. , HL , HS or RL won't scan any others files extensions (zip or 7z) or any folders. For your mouse problem with super nintendo , the module launched by HS or RL is maybe still active after exit HS/Emulator , and maybe this module contains Hotkeys that affect your mouse buttons. I don't use RL for HS (but a personal HL script) , so i don't know where you have to tell RL to stop the module when exiting emulator. But I can check your SuperNintendo module if necessary. Thx but i config zip,rar, 7zip etc and see only 10 game 7zip, Only HS not see other roms in mame HLHQ,RL see all game and only mame wheel not see roms but if a change in Hyper HQ filter Roms only see this 10 roms but if I do not I check this option to see all the roms that is normal. It would not be a problem if I had all the roms but not all want to be because I want to see only the wheel roms which have. Ok , i've tried your list with my database & hyperspin , i got 103 games working , that's because my system names is different than your database for gameboy , gameboy advance & some others. So I've change function "scan medias" in order to add an option to choose the system name from my personal databases for each different system name found on your xml that not exist on my systems list , now i get 117 of them working , a bit more ;-) Need to change also the function to copy parent vid & parent themes for non-USA database xml list , because some of them don't show vids or/and theme. Ca doit etre faisable , perso , avec xpadder , j'arrive a utiliser une manette PS3 en USB et un controller XBOX360 sans fil. Here is the last version of HyperXMLspin for Hyperspin : + create/edit/save favorites that stretch across all systems in one wheel. + create/edit/save search results that stretch across all systems (ie create a Mario wheel from all systems) in one wheel. + create/edit/save console favorites, handheld favorites, arcade favorite genre wheels etc... + as you update your media, you can sync the genres media here by pressing a button so your new media is always up to date in the genre wheels here. + Play directly to game found from HyperXMLspin results view. + Play to any games from Hyperspin wheel created. + Hide/Show HyperXMLspin (MultiSearch or QuickSearch) with an Hotkey. + Compatibility with all launchers (Hyperlaunch & RocketLauncher) + Add a game to its favorites system list with a button when selecting a game from results view. Video tutorial : Text tutorial (also in readme.txt): ************************************************************** **** I - hyperXMLspin : Quick Installation : **** ************************************************************** 1 / Launch HyperXMLspin.exe and setup parameters : 2 / On tab menu <General> Select HyperSpin folder (where is located HyperSpin.exe) 3 / On tab menu <General> Select launcher file executable. (Hyperlaunch.exe or RocketLauncher.exe) 4 / For advanced parameters look for chapter III. ************************************************************** **** II - hyperXMLspin : Full Installation : **** ************************************************************** With Full installation it will be possible to save lists from mode "show" and "export" lists from HyperXMLspin item databases. If you doesn't need one of this features , just use the Quick Installation from chapter I ************Installation inside Hyperspin*************** 1 / Launch HyperHQ.exe (On tab menu "main menu wizard") add new item with any name you want , for example : "HyperXMLspin" 2 / To the question : "Does this menu item have a sub-wheel" select "yes". 3 / Select item position inside your system wheel list. (Anywhere you want) 4 / Go to tab menu "wheel settings" , select "HyperXMLspin" wheel then tab menu "emulator" 5 / On field "Executable" : Select HyperXMLspin.exe file previously downloaded and extracted. 6 / On field "Execution" : Normal , "PC game" : Disabled , "Use Full Path To Roms" : Disabled , "Search Subfolders" : Disabled Open & Check in ini file parameters : "userompath=false" & "searchsubfolders=false". ("HyperSpin\Setting\HyperXMLspin.ini" for this example) 7 / Leave empty fields : "Rom Path" , "Params" , "Extensions - WinState : Hidden" 8 / Select menu tab "navigation/themes" then checkbox "use xml indexes","clones use parent videos","clones use parent themes" then close HyperHQ. 9 / If you have choosed "HyperXMLspin" as item name : Copy & replace Databases & Media folders from Hyperxmlspin package inside HyperSpin directory. Otherwise rename all "HyperXMLspin" folders & files name by yours , before copying and replacing. ****************Setup HyperXMLspin********************** 10/ Launch HyperXMLspin.exe and setup parameters : 11/ On tab menu <General> Select HyperSpin folder (where is located HyperSpin.exe) 12/ On tab menu <General> Select launcher file executable. (Hyperlaunch.exe or RocketLauncher.exe) 13/ On tab menu <General> Select HyperXmlspin item name. (Name given in step 1/) 14/ For advanced parameters look for chapter III. ************************************************************** **** III - hyperXMLspin : Advanced setup : **** ************************************************************** 1 / On tab menu <General> HyperXMLspin language : french or english 2 / On tab menu <General> resolution (fullscreen/window) : 800x600/800x600 , 1024x768/1024x768 , 1280x720/1000x720 et 1920x1080/1380x1010 3 / On tab menu <Controls> Keyboard hotkeys for exit , parameters and hide/show HyperXMLspin. 4 / On tab menu <Controls> virtual keyboard , to show a virtual keyboard inside HyperXMLspin interface. 5 / On tab menu <Controls> Emulate Joystick to mouse and set up joy number and its 8 buttons. 6 / On tab menu <Options> Fullscreen mode allow picture selection for background. 7 / On tab menu <Options> For each HyperXmlspin views set background color , font color , transparency , and police style. 8 / On tab menu <Options> Hide HyperXMLspin on startup. 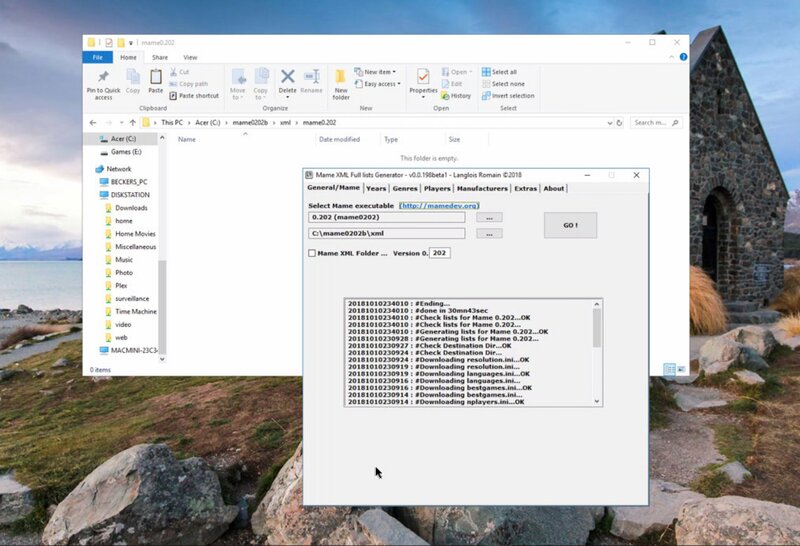 (Then use Hide/Show HyperXMLspin key/button to unhide) 9 / On tab menu <Options> Video preview allow you to disable/enable video preview 10/ On tab menu <Options> Parental control Parental to define a PIN code to limit access to parameters and limit HyperXMLspin to "Show" and QuickSearch mode. 11/ On tab menu <Options> Parental Filter to not show mature/adult games in HyperXMLspin and also in HyperSpin (for hyperxmlspin wheels). 12/ On tab menu <Options> Symlinks NTFS to use Symlinks instead of duplicating medias (prevent space on hard drive but only possible with NTFS partition) 13/ On tab menu <Options> Use confirm exit to show a message box and confirm to exit hyperxmlspin. 14/ On tab menu <Options> HyperXMLspin graphical theme. (custom theme must be placed on Themes folder in HyperXMLspin.exe folder) 15/ On tab menu <Update> Check medias to update hyperXMLspin artworks & videos with those from HyperSpin. Allow you to share custom HyperXMLspin wheels. 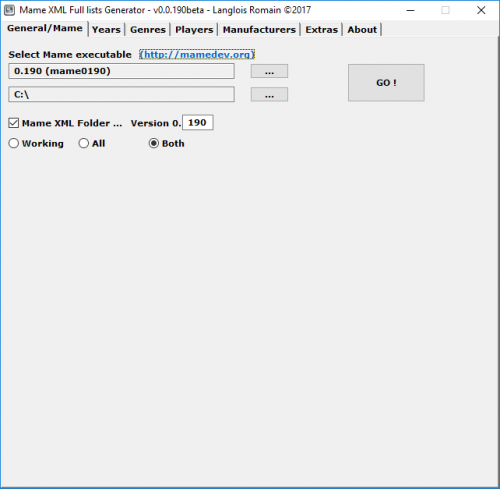 (Look for chapter IV) 16/ On tab menu <Update> Scan Filters to update genres and years lists for HyperXMLspin search engine. ************************************************************** **** IV - hyperXMLspin : Tips **** ************************************************************** 1/ For found games that have same name , HyperXMLspin add a space to distinguish them from others , actually this tip is just working with HyperLaunch For RocketLauncher , edit HyperSpin/settings/settings.ini file then modify "Hyperlaunch_Path" with HyperXMLspin full path ( ex: Hyperlaunch_Path= F:\HyperSpin\HyperXMLspin.exe ) , don't forget to save modifications. 2/ To make an HDD backup with symlinks created by HyperXMLspin , use an NTFS HDD Then use cmd or PowerShell with administrator rights , and use this command line : xcopy /e /b /i /h Path_In Path_out ( ex: xcopy /e /b /i /h C:\HYPERSPIN f:\HyperSpin-backup ) ************************************************************** **** V - hyperXMLspin : functioning : **** ************************************************************** ******HyperXMLspin functioning (QuickSearch) :******** Enter or select at least on search term , then validate. ("Tools" button must not be activated) *******HyperXMLspin functioning (MultiSearch) :******* Enter or select at least on search term , select "tools" then : --> Use the "show" function for an immediate search. (Results can be saved if HyperXMLspin have been setup as a full installation : Chapter II) --> Use the "create" function to save your search results in an hyperspin "genre" or "main" wheel. --> Use the "Add" function to add the search results to an existing list. The last three functions are usable without search criteria: --> Use the "delete" function to delete an entire list and media..(Use HyperHQ to delete an entire "main" Wheel) --> Use the "edit" function to sort games by genre, year , etc ... or to delete them. --> Use the "Export" fonction to export an hyperXMLspin "genre list as an other "Main or "Genre" list. (only available if HyperXMLspin have been setup as a full installation : Chapter II) Once list have been edited , click "OK". Tip : for multiple search for multiple games separate each keyword/letter with a comma. ************************************************************** **** Sharing HyperXMLspin lists functioning **** ************************************************************** You can share any hyperXMLspin list you want with HyperSpin community , but their compatibility between each users will not be all the time at 100 % : Games from lists are compatible only with lists with same game name and same system name. But you can increase compatibility with function "Update medias" on manual mode. Example with list ABestOfAll created by ninja2bceen (inside package Databases\ABestOfAll) : ************Installation inside Hyperspin*************** 1 / Launch HyperHQ.exe (On tab menu "main menu wizard") add new item with the name of the list , for this example : "ABestOfAll" 2 / To the question : "Does this menu item have a sub-wheel" select "yes". 3 / Select item position inside your system wheel list. (Anywhere you want) 4 / Go to tab menu "wheel settings" , select "HyperXMLspin" wheel then tab menu "emulator" 5 / On field "Executable" : Select HyperXMLspin.exe file previously downloaded and extracted. 6 / On field "Execution" : Normal , "PC game" : Disabled , "Use Full Path To Roms" : Disabled , "Search Subfolders" : Disabled 7 / Leave empty fields : "Rom Path" , "Params" , "Extensions - WinState : Hidden" 8 / Select menu tab "navigation/themes" then checkbox "use xml indexes","Themes only","clones use parent videos","clones use parent themes" then close HyperHQ. 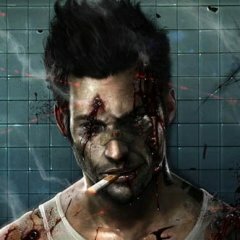 Option "Themes Only" allow to hyperspin to not show games not compatible from the shared list. (Do not check this option if you not have at least 1 default theme per system) Open & Check in ini file parameters : "userompath=false" & "searchsubfolders=false". ("HyperSpin\Setting\HyperXMLspin.ini" for this example) 9 / Copy xml list ("ABestOfAll.xml" inside package Databases\ABestOfAll) inside hyperspin databasest ("/Hyperspin/databases/ABestOfAll/ABestOfAll.xml" for this example) ****************Setup HyperXMLspin********************** 10 / Launch HyperXMLspin.exe then go to parameters. 11 / On menu tab <Update> click "Check medias" then select updating mode : Auto mode checked : all fully compatible medias will be automaticly copyed if found. Auto mode unchecked: you will have to choose each systems & games not found automaticly with systems or games you have. 12 / Select list to update ("ABestOfAll" for this example) then click "update". 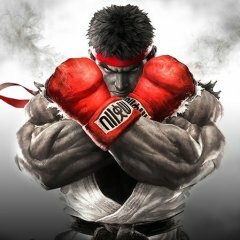 (hyperxmlspin main lists have "***" at begining and ending of their name) So now, media directory of this list contain all artworks and videos you already have. (your Video et artworks files have not been modified or deleted but just copyed or "symlinked") ABestOfAll.xml file created by ninja2bceen contain 245 games. With my configuration , after an auto scan i got 130 fully compatible , then after a manual scan i got 63 more...total : 193/245 results depend from each HyperSpin database users, and so may be different from others users. As a normal list , each shared lists can be edited in hyperxmlspin to add , delete or sort as you prefer each games. ************************************************************** **** VI - hyperXMLspin : About **** ************************************************************** Report me buggs or ask me your questions to : [email protected] Thanks also to beta tester : ninja2bceen,potts43,ghutch92 & arshesney. Thanks also to donators that have contributed to HyperXMLspin development. To help me : use donate button on menu tab "About" inside parameters panel. Application created with Autohotkey. That's all folks , now : Search,play,enjoy !! !